Cut and Arrange Creative Writing Stories for Kids helps you develop a passion for storytelling in your littlest learners. 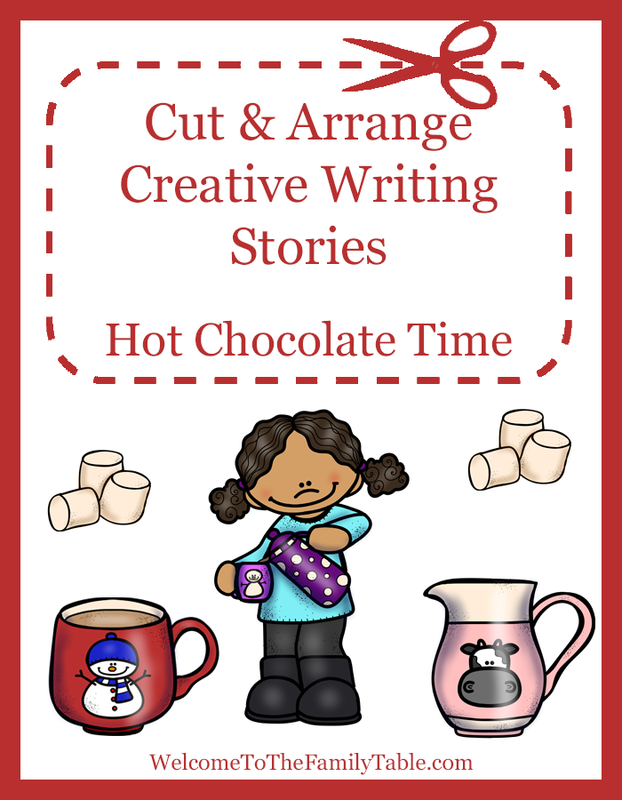 In Hot Chocolate Time, your child gets 10 pictures and 25 keywords that they can arrange and rearrange until their story sounds just the way they want it! They can glue the pictures into a book and write their story on notebooking pages (or dictate it to you to write). The goal is to be creative and have fun! Help your little ones surprise themselves – and maybe you – with what they can imagine! Looking for more creative writing stories? If so, click here.